Are you looking for reliable letting agents in Cornwall? 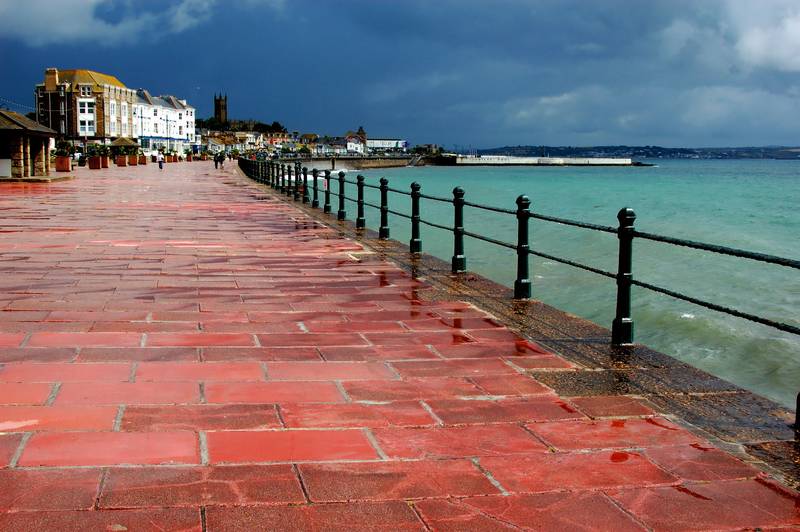 Antony Richards Property Services manages over 300 properties for residential landlords in the Penzance, St Just, Marazion, St Ives and Hayle areas. They come to us for a friendly, professional service that offers them complete peace of mind that their property is in safe hands. We hold professional indemnity insurance and are regulated by The Royal Institution of Charterered Surveyors (RICS), The National Approved Letting Scheme (NALS), The Dispute Service (TDS) and The Central Association of Agricultural Valuers (CAAV). Antony Richards offers two main services to landlords, which are described below. But please remember we will always tailor our services to suit your needs. Just give us a call. • Free valuation: We use our knowledge as letting agents in Cornwall to find the right price for your property. • Advertising: Our own website property listings attract many potential tenants. We also advertise on Rightmove, Zoopla and PrimeLocation. • Tenant selection: A trusted external referencing agency performs credit checks and sources references. Rent protection cover can be arranged through us as required. • Inventory: We carry out a comprehensive and detailed record of your property, including photographic evidence, prior to tenants moving in. • Tenancy agreements: Our agreements are prepared by industry experts and can be tailored to meet your individual needs. • Deposits: We collect 1.5 months rent as a deposit and hold this money according to Government regulations. • Rent collection: We collect rents and chase late payment (in which case a friendly call is usually all that is required). • Inspections: Every five to six months, we visit the property and submit a written report to you. This will provide details about the condition of the property and any recommendations for upkeep or repairs. • Local knowledge: We arrange property repairs using trusted local tradesmen. The cost? Visit our Fees Structure page which clearly outlines all costs. Unlike some letting agents in Cornwall, we don’t do hidden extras – all the above services are included in our fees. Let us deal with all the hassle of finding a tenant. The Finders Only Service includes all of the above services up to the tenant signing contracts and moving into the property. For your convenience, we’ve included lots more information about becoming a landlord (see links below). We particularly recommend ‘The Landlord’s Guide’ – a great introduction to our services. We are happy to talk you through the process, and answer any of your questions. Call us now on (01736) 366544 for friendly, professional advice. This service is offered at a charge of 12½% + VAT of any rent received (subject to a minimum monthly fee of £60). An additional administration charge is payable at the start of each new tenancy equivalent to one week’s rent. VAT is applicable. This service is offered at a charge equivalent to one month’s rent. Due to the complexities of deposits, we recommend the full management service. Due to the complexities of the tenancy deposit protection and the legal safety requirements, we will not draft a tenancy agreement to commence until five days after receipt of all the required paperwork and keys. Landlord’s Gas Safety Record – and confirmation that all repairs have been undertaken. Periodic Electrical Inspection Report (including any PAT testing) – and confirmation that all repairs have been undertaken. The five days then allow us to prepare for the tenancy properly and avoid future problems which should benefit you as the landlord to have a trouble free tenancy. Following amendments made to this act in March 1993, any furniture included in accommodation must meet all fire resistance requirements. Due to the liability and regulations involved, we DO NOT manage furnished properties. This regulation came into force in January 1995 and makes it an offence to supply electrical equipment that is not safe. From January 1997, there is a further requirement upon manufacturers to mark equipment or the packaging with the ‘CE’ symbol to confirm that technical safety standards have been met. To comply with the above regulations, a certificate is required stating that the electrical supply, equipment and appliances in the property are safe. This needs to be carried out by an electrician who is NICEIC approved (or equivalent) and inspected regularly thereafter. We require a current certificate prior to a tenant taking occupation. See also the paragraph relating to appliances. The law states that any gas appliances in rented properties must be serviced and tested annually. These are usually undertaken simultaneously. A CORGI registered fitter must carry out this service and inspection and a certificate must be issued to the tenant prior to the commencement of the tenancy. We require a current certificate prior to a tenant taking occupation. The penalty for non-compliance of the above regulations is a maximum fine of £5,000 and/or 6 months imprisonment! BEFORE a property can be made available to view, an Energy Performance Certificate is required to be available to prospective tenants. An EPC lasts for 10 years (unless significant alterations are made to the property). You are free to employ any approved assessor. We recommend ‘ATT Testing’ who have agreed a fee to our landlords of £85 (inc VAT) to inspect and provide an EPC. This relieves the landlord from dealing with the tenant as Antony Richards Property Services will be the tenant’s only point of contact. If there are any problems with the property or rental payment, a representative from this office will deal with the matter and report accordingly. We will provide the exact same service as the full management package up to the tenant signing contracts and taking possession of the property. At this point, the tenant will be informed of your details and instructed to deal directly with yourself. A copy of the signed tenancy agreement and inventory will be forwarded to you. The deposit will continue to be held in our clients’ account under the protection of The Dispute Service. Whether you are intending to take advantage of our ‘full management’ service or just looking to utilise our ‘finders only’ service, this guide will emphasize our commitment to providing a professional letting service and to making your role as a landlord easier. 1. Have you informed your lender? 2. Have you checked your lease? 3. Have you arranged sufficient insurance cover? 4. Have you made arrangements for your mail to be forwarded to you? 5. If you are going overseas, have you completed a ‘NRL1’ form obtainable from the Inland Revenue? 6. Have you notified the council tax, gas, electric, water and telephone companies of your departure? 7. Have you left the house clean and tidy including a thorough clean of kitchen units and ovens? 8. Have you left the garden in an easily manageable state? 9. Have you left three sets of keys? 10. Have you left all necessary instructions and manuals/instruction books for the appliances remaining? 11. Have you left adequate details with Antony Richards Property Services for you to be contacted? 12. Have you forwarded the relevant gas and electrical certificates, and also chimney sweeping certificate as applicable? 13. Have you completed the management instructions form with your property’s details? A free valuation can be arranged whereby one of our staff will call to evaluate your property and provide a rental valuation based upon its location, condition, heating and current market demands. We will be able to offer advice on current legislature and be able to answer any queries you may have with the rental procedure. At this point, we can discuss potential tenants and whether you wish to accept pets, children, smokers, etc. Recent experience has shown that our own website www.antonyrichards.co.uk is our main source of potential tenants. It is not unusual to receive enquiries within an hour of properties being uploaded. We also advertise on the national property websites, www.rightmove.co.uk and www.zoopla.co.uk. We use minimal newspaper advertising and keep a selective list of suitable potential tenants. We employ the services of an external referencing company who will obtain suitable references as well as undertaking credit checks. Once approved, by the referencing company, rent protection is available. Once approved by the referencing company, rent protection is available to be purchased by the landlord. This allows the landlord to claim unpaid rent should the tenant become one month in arrears. Additionally the landlords’ legal expenses will be covered if seeking possession of the property. Currently, twelve months rent protection is available at a cost of £129 with no excess. Once a tenant has been selected, an appropriate tenancy agreement will be drawn up. This will incorporate any necessary legal documentation and we are able to personalise the contract to suit your property if you have specific clauses that you wish to be included. Our tenancy agreements are reviewed regularly and approved by the Office of Fair Trading. Before your tenant moves in, we will prepare a comprehensive and detailed record of condition and inventory of fixtures/fittings within your property, including photographic evidence. This record is vital to both you and your tenant, and is essential in settling any differences of opinion that may occur at the beginning, during or at the end of the tenancy. We will take a monetary bond from the tenant (usually one and a half times the monthly rent). This will be retained and used in case of arrears, non-payment of services and any losses or damage caused to the property by the tenant at the end of the tenancy. The deposit belongs to the tenant. The deposit has to be protected under a Government approved scheme. We are regulated by The Dispute Service and therefore allowed to hold deposits. At the end of the tenancy, any deductions must be agreed with the tenant. In the event that no agreement is reached, the matter is referred to an Independent Case Examiner (ICE) employed by The Dispute Service. The ICE will not attend the property and so evidence and records are essential. Whilst yet to be tested, we believe our extensive record of condition will provide conclusive evidence. Rent monies are monitored closely and a tenant will be contacted immediately if any arrears arise. Normally, a friendly telephone call or a more specific letter can easily rectify this. During a tenancy, we will periodically inspect the property internally (approximately every five to six months). Following these inspections, a written report will be forwarded to you. These can prove essential in monitoring the tenant and they can also prove to be an ideal opportunity for the tenant to bring any maintenance problems to our attention. Note: Due to safety measures, we do not inspect attics or lofts. We will only manage unfurnished properties and so all furniture and white goods must be removed. Occasionally these are ‘built-in’ and it may be appropriate to leave in situ. If this is the case, each appliance should be ‘hard-wired’ or subject to a’ portable appliance test’ (PAT). You will be expected to maintain and/or replace any ‘integral’ appliance. If the appliance fails the test, it must be removed. INSTRUCTION BOOKS MUST BE SUPPLIED prior to occupancy. Tenants are expected to maintain lawned areas but we are unable to enforce maintenance of shrubs or flowerbeds to the high standard some landlords require. You will be required to provide us with three full sets of keys for your property. One set of keys to be held by Antony Richards Property Services. The landlord is legally required to ensure that the heating and hot water system is maintained. Tenants are becoming increasingly discerning with regard to heating and even the type of heating. It is now very difficult to let a property without heating. It is strongly recommended that the property does have some source of heat (preferably economic to run). Maintenance of hot water and heating is the single most cause of complaints/referrals from tenants. Often this is ‘out of hours’ leading to an increased call-out charge from plumbers/heating engineers. Many standard house insurance policies do not cover letting so you should always make sure that your property and any contents are adequately insured and fully covered. We cannot be held responsible for any difficulties arising as a result of failure to do this. Rent protection is available. We can advise on the best way to offer a property for sale and refer you to independent financial advice. We have a good relationship with most of the estate agents in Penwith and would happy to work with any agent you chose. If a sale is agreed to an existing tenant, our fee will be a one per cent commission (+ VAT) of the sale price. Problems can occur during a tenancy which may not necessarily be the fault of the tenant but due to general wear and tear. We recommend that provision be made regarding maintenance. When a maintenance problem is reported to us, if the cost of the repair is below £150 we will authorise the repairs. If the cost is going to exceed this amount, we will report it to you so that you can choose whether you wish us to arrange the repair (with any costs being deducted from your next month’s rent) or to arrange it yourself. Such repairs must be carried out without undue delay. Rent is collected normally per calendar month and is forwarded to you less our fees. We must allow seven days to allow cheques to clear before making payment. This can be via electronic transfer direct to your bank account (our preferred method) or by cheque. All money collected on your behalf is paid into a clients’ account. Please note that we cannot be held responsible for any charges incurred due to late payment of rental monies. Any minimal interest accrued is retained. Any income received from a rental property is deemed to be a taxable one. Payment of income tax for a UK resident is the landlord’s responsibility and it will be up to you to file any tax returns or claims. Legislation provides for a range of landlord’s expenses that can be offset against the rental income. Some examples of these expenses are listed below, but this list is not exhaustive and professional advice should always be sought to guarantee that the full potential of the expenses are realised. • Utility bills (if still paid by the landlord)If you are to reside outside the UK then your tax liabilities differ. Under the Taxes Management Act 1970 and the relevant 1996 amendments, where a landlord resides abroad and receives income from a rented property, the tax liability can be made to rest upon the party responsible for collection of the rent. Under the FICO regulations, we as collectors of your rent must deduct tax from your rent each month and pay this to the Inland Revenue each quarter. Unfortunately this has to be carried out regardless of whether or not you are actually taxable on the income. However, you are able to apply for an ‘exemption certificate’ from the Inland Revenue which waives us, as the rent collectors, from any liability. If this exemption is granted, we will pay any appropriate rent payments to you without any tax deductions. To assist you in completing your tax returns, we will obviously provide you with regular rental statements detailing all deductions made and all payments made to you. Upon vacating the property, you should request a ‘closing account’ from your telephone company and have the line disconnected. The onus is therefore upon the tenant to re-connect the line in their name if they then wish to use the telephone. It is not obligatory to provide a television aerial in your property. However, most tenants will require an aerial. Most properties have television aerials and if you as landlord supply an aerial, you will be expected to maintain it and, if necessary, upgrade it. A tenant will normally be responsible for all utility bills, i.e. council tax, water rates, gas and electric. We will take meter readings and advise the utilities upon each change of tenant. Condensation is another of our major causes of tenants’ complaints. Please ensure all windows can be opened and closed to allow your property to be ventilated and therefore reduce the likelihood of condensation. Landlords: are you looking for a tenant? Then fill in our Find a Tenant form, and let us fill your vacant property with a fully-referenced tenant. Download the form by clicking on the button below.